As indicated before, there is political movement in India in the direction of basic income. Particularly in the state of Telangana, which started the implementation of its Rythu Bandhu (Farmer Investment Support) program in May 2018. Other Indian states, namely Maharashtra, Rajasthan, Madhya Pradesh, Jharkhand, Odisha, and Chattisgarh, have also introduced farm support initiatives, but Telangana conveyed the novelty of unconditionality. Sarath Davala, Vice Chair of the Basic Income Earth Network (BIEN), and coordinator of the India Network for Basic Income (INBI), has written extensively on this matter, as well as contributed with clarifications and specifications on social media. 3 – It is called Farmer Investment Incentive Scheme. It was not called welfare, but termed as an investment. This means that, unlike conventional welfare schemes, such as loan waivers or crop insurance scheme, it is not intended as a relief after a calamity has hit, but as an investment. 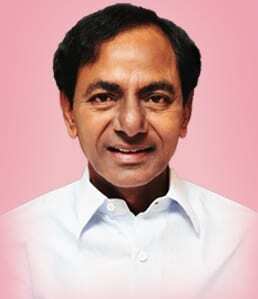 Telangana has also introduced state financed life insurance for farmers, over 5,8 million potential beneficiaries, and covering a sum of 500 000 Rupees (6190 Euros). The annual premium, paid by the government, is to be 2000 Rupees (25 Euros). This first attempt at unconditionality has had its problems, though. The program was criticized for being regressive, since no account was made for redistribution of these benefits to farmers, and so rich farmers were also getting the money from the government. And, since these farmers owned more land, they receive a greater portion of the investment. Another downturn was that tenants, or landless farmers, haven’t benefitted from the program since these do not possess property rights. To address this last problem, the state of Odisha has announced in December 2018, and will roll out the scheme between February and March this year, pretty much the same as in Telangana but including landless tenants, estimated to cover around 1 million people (and their direct families). Under Odisha’s scheme, there are also available loans (for crop) at zero interest rates. 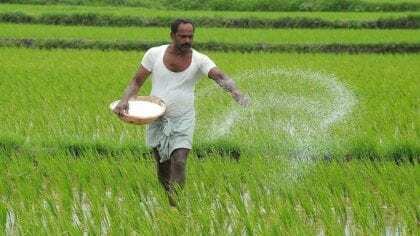 In Jharkhand, Odisha’s neighbour state up North, the farmer assistance plan also disburses a fixed unconditional value per acre of cultivable land, 5000 Rupees (62 Euros) per annum, directed at small farmers (owners of less than 5 acres), for the next 4 years, benefitting over 2 million workers. So, in Jharkhand, rich farmers will be mostly excluded from the scheme. On the border with Bangladesh, in the West Bengal state, the scheme is somewhat more complex. Starting in February 2019, there will be a crop insurance for farmers land, with the state covering its premium. Plus, the same cash transfer as in Odisha will be rolled out, but with spending conditions (on seeds, fertilisers, pesticides, etc.). On top of that, a life insurance similar to Telangana’s, but covering only 200 000 Rupees (2470 Euros). West Bengal state farmer support scheme is directed at an estimated population of 7,2 million small and marginal farmers. Other states, like Maharashtra, Rajasthan and Madhya Pradesh, have also announced and are implementing policies to help farmers, namely in-kind benefits and loan waivers. But, overall, and according to Sarath Davala, is it a very positive thing to “see a shift from many conditionalities to unconditional”. However, he points out that these policies should not be lightly called “basic income”, as they depart in several ways from definitions of basic income (as, for instance, that of BIEN). Telangana’s policy is neither individual (it is family-based), nor universal (only for farmers, and not even for all of them), nor basic (not enough to cover individual basic needs). However, it does go a step further as far as the unconditional part is concerned. The State Bank of India (SBI) has also taken an interest in unconditional cash transfers to farmers, although at the expense of the universal basic income (UBI) policy, as presented in a recent report. The SBI confirms that unconditional cash transfers will have a more “meaningful impact” on farmers, than conditional policies applied up to now. However, it advices against UBI, stating that a “cash transfer scheme is always a better option than a UBI scheme. Many countries have found that UBI does not address the structural problems and is at best a solution in interregnum”. It remains unclear, though, how did the SBI found that one policy is superior to the other, in the lack of real UBI implementation around the world. Also, the SBI does not mention which “structural problems” UBI was found not to solve, and in which countries. Thank you to write this news post.